A book on social media, entitled Tweet others as you would wish to be tweeted: a Scripture-based guide to social media for the Church will be launched by Archbishop Celli, President of the Pontifical Council for Social Communications, at the Australian Catholic Communications Congress on 5 May 2015. 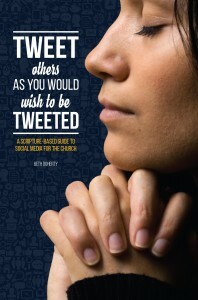 The book, written by Catholic journalist Beth Doherty, was commissioned by the Australian Catholic Bishops Conference, and was written as a guide for those beginning to use social media. The book will be launched following Archbishop Celli’s keynote address at the Congress on Tuesday 5 May at 4.30pm in the Rydges Hotel, North Sydney. 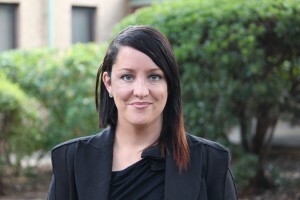 Author of the book Beth Doherty has worked for the Australian Catholic Bishops Conference in communications since 2009. Australian Bishops’ Delegate for the Media, Bishop Peter Ingham said that the book is a welcome contribution to help people to understand how to use digital media. “The title uses the commandment from Luke 6:31, ‘do unto others as you would have them do unto you’, but applies it to Twitter in a tongue-in-cheek way”, he said. “Each chapter uses a verse from Scripture, for example ‘be not afraid’, or ‘go out to all the world and tell the good news’. The book is a guide, as well as a source of ideas for how we can use social media at the service of the Word of God”, said Bishop Ingham. Almost 200 media and communications professionals from across the Catholic Church in Australia will come together from 4-6 May to discuss and analyse the Congress theme; What is our voice? ‘Out of the abundance of the heart, the mouth speaks’ (Mt 12: 34). There will be opportunities for reflection, networking and sharing ideas. Tweet others as you would wish to be tweeted, published by David Lovell publishing will be available to purchase as a hardcopy at the Congress and in Christian bookshops from next week. It is also available to download as an eBook. This entry was posted in Uncategorized on April 28, 2015 by ACBC Communications.